The challenge is on! The great thing about birding is that you can do it anywhere and at any time, day or night – whether you’re in camp or out on the plains. You can bird while you’re moving around or sitting quietly on your deck. It can be a daunting challenge to pursue, with around 600 species found in Botswana, but birding keeps the mind active, your eyes searching for detail and your sense of wonder and adventure on high alert. Birding is the ultimate treasure hunt and once you start discovering those beautiful jewels, it can change the way that you see the world. 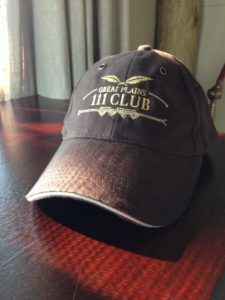 Great Plains Conservation Botswana has been proud to include anyone who manages to see 111 bird species during their visit into the exclusive 111 Club, commemorated with a fine cap – but it is the achievement that you’ll carry with you. This year we’re introducing a year-long competition, hosted by Birdlasser starting in the Botswana camps (with Kenya and Zimbabwe to follow). Pit yourself against other birdwatchers and see how well you do. The only prizes are a sense of satisfaction and your part in conservation research with addition of all species to a central research database. The challenge is free, easy and slightly addictive. All you need to do is download the Birdlasser app on your phone. Register on the app, send the email address you registered with and whether you will be birding in the Selinda Reserve or at Duba – or both, to lonehydrangea@gmail.com – and that’s it! 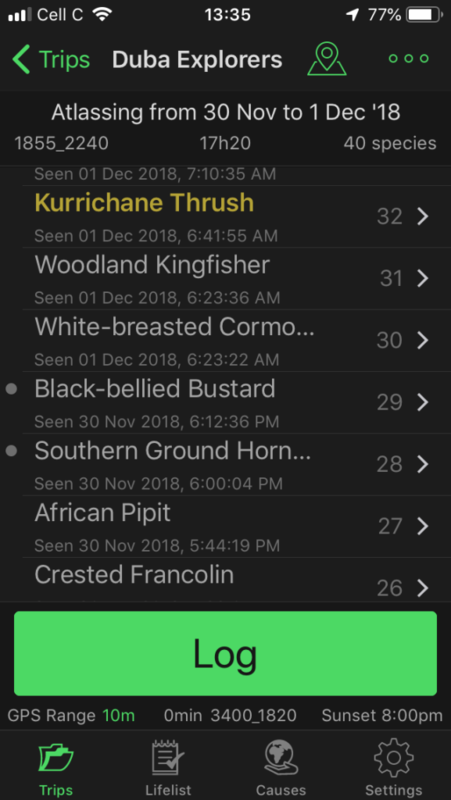 To log your birds just create a ’Trip’ in the app and you’ll be able to log your birds there. Track how you’re doing here for Selinda Reserve and here for Duba Plains or Duba Explorers in near real time. 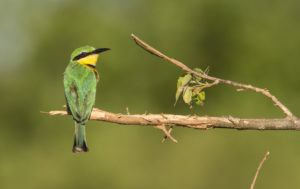 And if you think that you won’t see many birds in a few days, we tried it out for one day during December and managed to see 124 species at Duba Plains and 126 species in Selinda Reserve between sunrise and sunset. 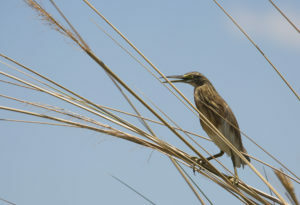 So join the great Botswana Birding Challenge and enjoy a whole new side of the safari experience. The challenge ends at midnight on December 31st 2019. Happy birding!